Law enforcement wears the never-ending reputation of “highway defenders.” Unfortunately, it seems that today, criminals rule the streets. When a criminal flees the scene of the crime or a traffic stop, law enforcement speeds to catch the criminal. Ironically, this is the exact opposite intention—criminals should be forced to comply with law enforcement officials, not the other way around. The moment law enforcement must speed like criminals in order to catch criminals; something has gone terribly wrong with the international justice system. Fortunately, technology now enables law enforcement officials to hold their ground against criminals by way of hi-tech police cars. 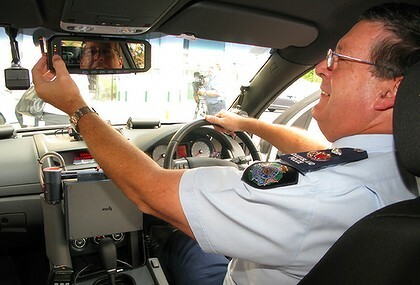 In August 2011, four hi-tech police cars were unveiled in Queensland, Australia containing license plate recognition and computation technologies as part of vehicular installation. These technological advances can help law enforcement officials notice when an individual is speeding, clock the speed mileage, and run a background check on the license tag while the official never leaves his or her car. The new technology will also allow police to catch drunk drivers and repeat traffic violators. 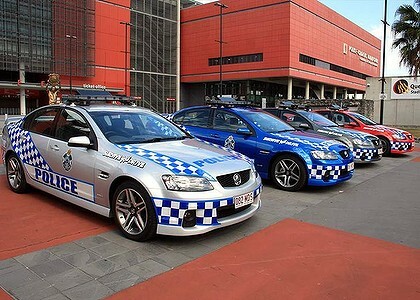 What about the new technology in the police cars? Law enforcement officials now use in-vehicle computation platforms that come as fixed-mount workstation laptop computers. Their small, portable keyboards allow you the option of typing your notes while remaining in the driver’s seat. You no longer need to go to the passenger’s side to complete your informational sheets while on the job. Additionally, the new portable laptop computers in law enforcement vehicles can actually travel anywhere! Now, you can sit inside of a local restaurant and complete your notes—then take the device back to the car, sit it on the workstation, and continue to tour the highways for signs of law violation. The in-vehicle surveillance cameras are used to track the activity on the street—whether ahead, to the side, or behind the officer vehicle. 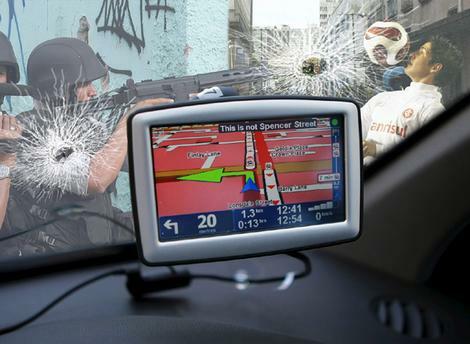 Vehicle surveillance is compatible with IPhone technology such that no matter where you are you can zoom in on any sort of public dispute (whether public or private). License plate recognition technology uses optical character recognition (OCR) to process the license plate number, scan the collection of license plate numbers in the system, and see if the license plate number shows up in the database. Right now, license plate recognition is only used for enforcing red lights and traffic violations—but the future looks promising for other law enforcement needs the technology can provide. You can never outrun the radio, yet if someone has an outstanding warrant… that won;t stop them from fleeing. Fortunately, technology now enables law enforcement officials to hold their ground against criminals by way of hi-tech police cars. I like the color scheme of the Brisbane cars. It is indeed useful to have a powerful police cars because criminals have fast cars that needed to be beat by authorities so that they can prevent them from having a successful getaway. Wow what a cool cars. Now there will be decrease in the chrime Ratio. Pretty cool features these cars have. Really these cars are super cool cars with awesome features. Most of the crimes that are committed requires getaway cars and these cars will be the first major evidence that can trace the perpetrators. Knowing the number plates being used in the vehicle is a jump start for a good investigation.